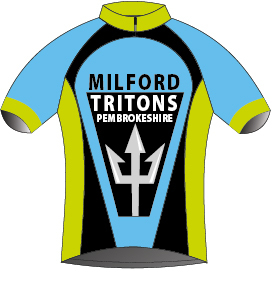 MILFORD TRITONS CYCLING CLUB is a lively, friendly, broad-based cycling club active in Milford Haven, Pembrokeshire. With over 90 members ranging from teenagers to shall we say a good bit older, we are involved in various aspects of the sport and pastime of cycling. Sociable group rides (‘club runs’) take place several times a week, and members are active in Time Trials, challenge (Sportive) rides, Triathlon, Ironman, or just plain riding a bike. Our website provides news and resources for existing members, information for people interested, and a window on the club for anyone thinking of joining. There is also a very active Facebook Group which you can join – this is where unofficial rides are arranged which may also be of interest. There is no obligation to join before attending a club ride and in fact you can take part in two rides to see if we offer what you are looking for in a Cycling Club prior making any commitment to join.